The Land of Smiles welcomes a significant milestone in its world-class standard for dental care services. 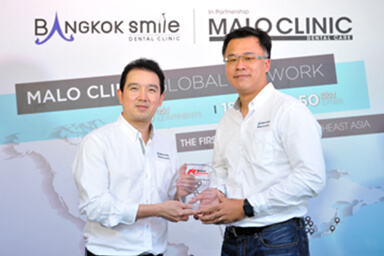 A momentous partnership between Thailand's very own Bangkok Smile Dental Group and the largest network of dental clinics - MALO CLINIC Worldwide takes dentistry into a whole new level. The partnership is fully supported by another world-leader in implant dentistry innovation – Nobel Biocare®, which ultimately seals this compelling union that truly defines what an International Center for Dentistry is in Thailand. To fully comprehend how this notable collaboration can directly move Thailand closer to being the number one dental tourism hub in South East Asia and of the whole world, let’s find out what these three major players in the dentistry world holds and the very reason why they joined forces together. Since 2003, Bangkok Smile Dental Group has been providing exceptional dental care services to people from around the world who wants two things – to obtain excellent dental care and to enjoy what Thailand has to offer for an amazing vacation holiday. 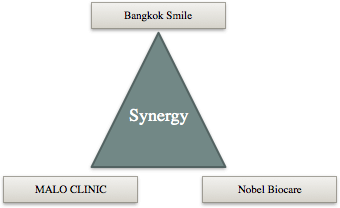 The group roots back to its humble beginnings with a single clinic opposite the former-British Embassy along the Ploenchit Area which was named Bangkok Smile Dental Clinic by its owner and later on the founder of the Bangkok Smile Dental Group, Dr. Sermsakul a.k.a “Bob” Wongtiraporn. In 1995, Dr. Paulo Malo founded the MALO CLINIC in Lisbon, Portugal and together with his medical and research team, successfully implemented the All-on-4 implant technique, an innovative approach that was acclaimed by the medical community as one of the most significant breakthrough in the field of implant dentistry. Enormous success in the years that followed led to rampant growth, which gave way to the MALO CLINIC as being the world’s leading centre for Implantology and Fixed Oral Rehabilitation. 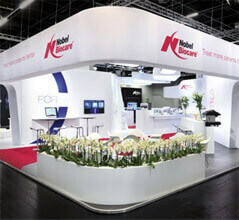 Thailand’s very own Bangkok Smile and MALO CLINIC’s exclusive partnership with the full support of Nobel Biocare – the world’s number 1 dental implant company, is the most brilliant integration of such significant names in the field of dentistry with one goal in mind: To define the true meaning of an International Dental Center in Thailand. Hand in hand they are committed to set the highest international standards of dental care because they all share the same core objective, which is to give quality of life back to patients by providing them with the most innovative dentistry techniques and products. MALO CLINIC Worldwide is the largest international dental center in the world that was founded by Dr. Paulo Malo in 1995. With its revolutionary techniques it has gained vast popularity at an astounding rate within Europe, USA, Canada, and Australia, as well as the rest of the world. Patients from all over the world and patients of other dentists started to get their dental treatment done at the MALO CLINIC and MALO CLINIC-Exclusive Partners such as Bangkok Smile. MALO CLINIC Dental Care is notoriously known for its innovative techniques such as the All-on-4™, the new Zygoma Implant, the Extra-Maxilla Surgery, the NobelSpeedy® Implant and the fixed prosthesis MALO CLINIC (MC) Bridge. The exclusive partnership between Bangkok Smile and MALO CLINIC was made public with a prestigious Signing Ceremony and Soft-opening Event held at the Bangkok Smile MALO CLINIC Main Branch inside the MEDASIA Healthcare Complex last August 18, 2016.